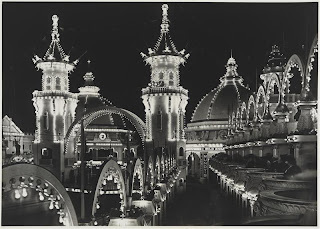 Luna Park created by Frederick Thompson and Skip Dundy at Coney Island in Brooklyn, New York City as seen in 1906. The partners, creators of a show entitled A Trip to the Moon, bought the old Sea Lion Park in 1902 and opened Luna Park in May 1903. 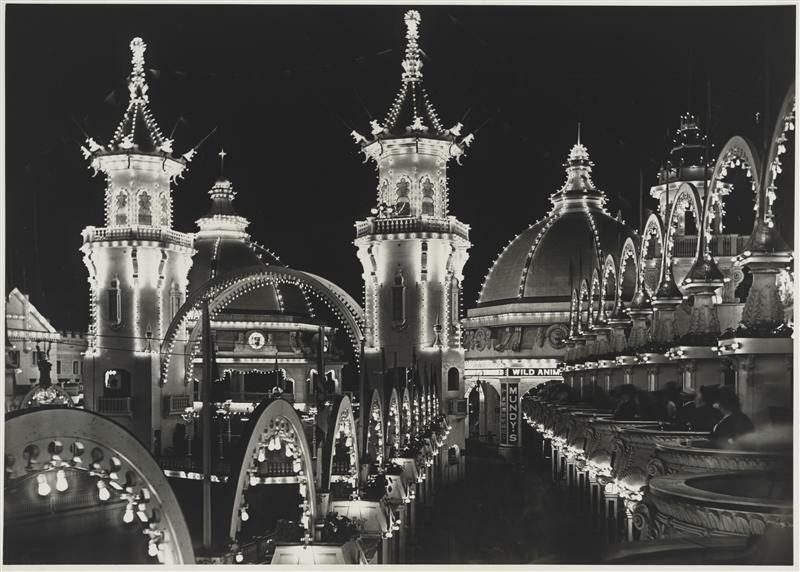 Click HERE for an extensive history of Luna Park which burned down in 1944 and was permanently closed in 1946. Photo from the Museum of the City of New York.